Somerset skipper Lewis Gregory is expecting a massive test when his side take on the Sussex Sharks in the semi-finals of the T20 Blast. The all-rounder has been a key figure in helping the Taunton outfit reach Finals Day at Edgbaston, with Somerset having won the competition back in 2005 and lost in three consecutive finals between 2009 and 2011. And Gregory is ready for a potentially classic showdown with the Sharks, who appear on paper to have the most explosive bowling attack among the four semi-finalists - with the Lancashire Lightning and the Worcestershire Rapids the other two teams still in the hunt. He told his county's official website: "They are a very good T20 team with potentially one of the best attacks in the whole competition. "We are going to have to step up and counteract that. However, equally, I think that we have got one of the best batting line-ups in the competition, so it's going to be a big match. "The guys have all been brilliant throughout. To put in the performances that we have and to be able to beat a lot of very good sides convincingly is testament to the quality that we have in the squad. "Now we've got two more games to win to do the job properly." 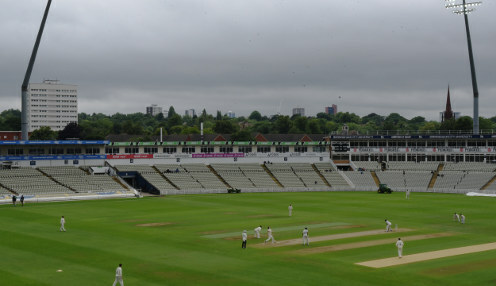 Sussex and Somerset clash in the second game of Finals Day, with Worcestershire and Lancashire getting proceedings under way in the first semi-final. The Sharks are 13/5 to win the T20 Blast, with Somerset available at 11/4 and Lancashire priced at 5/2.